A new season of Porch Light tours is upon us! We are so grateful to be partnering with the City of Philadelphia Mural Arts Program on the "Rise and Shine Mural Tour" inspired by James Burns' stunning mural The North Philadelphia Beacon Project. Take this opportunity to see beautiful public art and learn about inspiring journeys of recovery and healing. 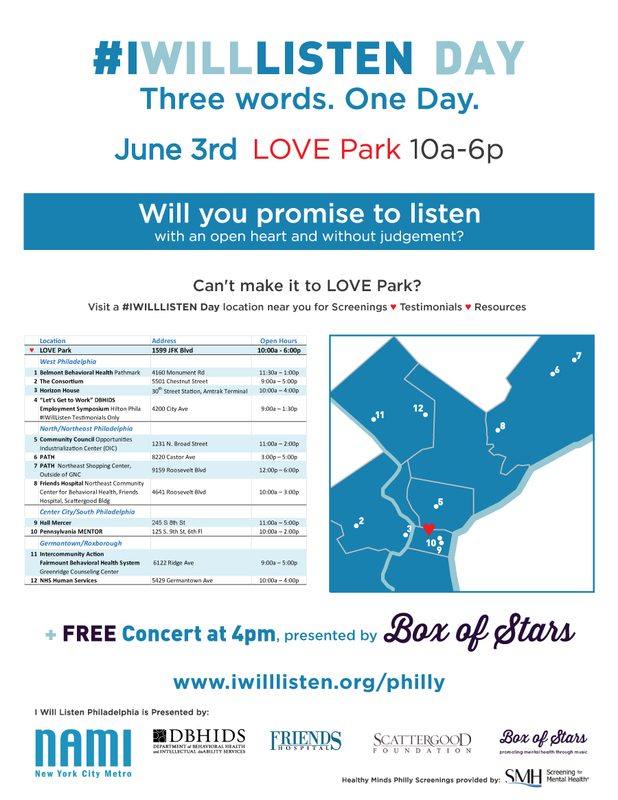 The national anti-stigma campaign #IWillListen is coming to Philadelphia! #IWillListen is based on the belief that through listening and understanding everyone can play a role in reducing the stigma associated with mental illness.